1. That the sewage site in the said video was not the property of the Enugu State Government neither was it designated to the tanker drivers by the state government as was erroneously alleged. 2. The tanker drivers we met on ground disposing sewage confirmed the above, and disclosed that it was the people of Ugwuaji community that gave them the site to be dumping sewage, on commercial purposes. 3. 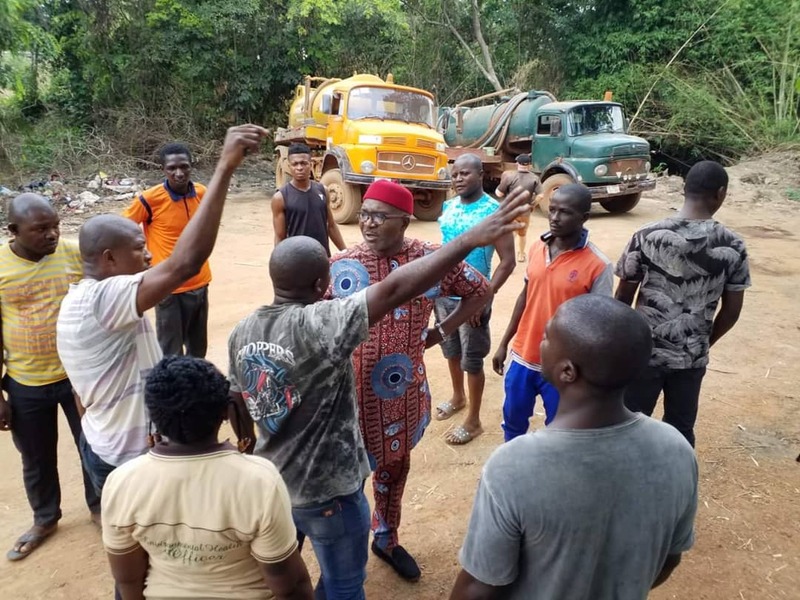 The Ugwuaji community through the Vice Chairman of the committee in charge of the site, Mr. Chukwudi Edeh, also confirmed that they allocated the area to the tanker drivers for disposal of sewage on commercial basis. 4. That both the tanker drivers and the community frowned at the false impression created by the makers of the video that the dump site was connected to a river, stating that there is no such river around the vicinity and added that the area is still virgin as people were not residing anywhere close to it. From the representations made by the tanker drivers and Ugwuaji community, it is clearly established that the activities of both parties at the said site were unauthorized by any agency of the government but a mutual agreement between them. Consequently, we order the closure of the sewage dump site with immediate effect and request the affected persons to channel their sewage to the government approved sewage site at the Enugu State Waste Management Authority (ESWAMA) dump site, Enugu. We, therefore, reassure residents of the state of government’s commitment to a cleaner and healthier environment.